Black-chinned Laughingthrush is a highly endemic and globally threatened bird of the Nilgiri hills of the Western Ghats. 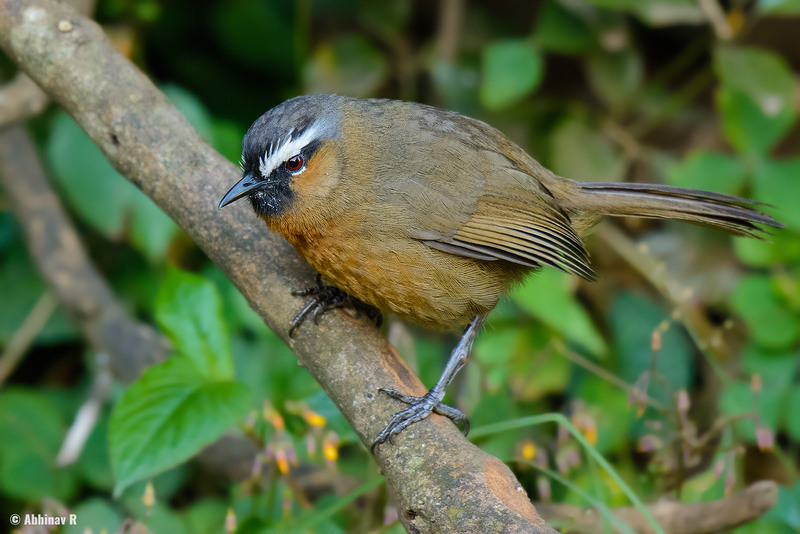 Just like the Kerala Laughingthrush found in the south, its distribution is confined to a very small place. Location: Doddabetta, Nilgiris, Tamil Nadu. Date: Jan 5, 2017. Doddabetta Peak and surroundings near Ooty are great places to spot these birds in large numbers. We reached there at around eight in the morning. The rush of visitors hadn’t started yet and only a few vendors were there. The first birds we spotted were a group of Laughingthrushes and Indian Blackbirds. I got the above photo near the parking area. We had visited there during off-season (June), but couldn’t spot much birds. But this time it was all different – the place was bustling with birds. Appearance: As its name, the chin is black in color. It helps to distinguish it from Trochalopteron fairbanki (Kerala Laughingthrush). There is a white eye-brow. The crown is black in color. The primary color is brown. Distribution and Habitat: Distributed around Nilgiri Hills. Although endemic, it is locally common. One of the easiest birds to spot in Doddabetta area. IUCN lists it under the ‘Endangered’ category. They are quite noisy and usually seen in groups. Often comes to the ground.